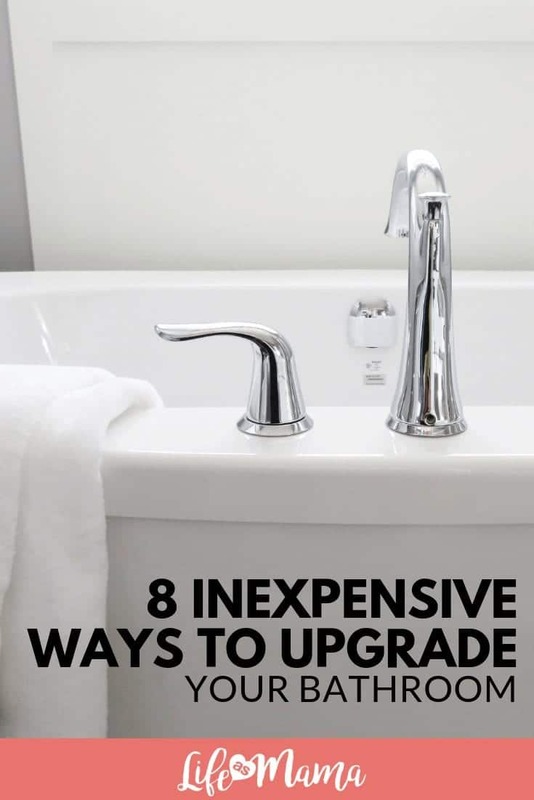 Making seemingly big changes to your home, especially your bathrooms, doesn’t always seem like a plausible option when you are on a tight budget, but here are a few fun and inexpensive ways to upgrade your bathroom without spending a ton of money. They will completely transform the look and feel and you’ll be wishing you didn’t do it sooner. 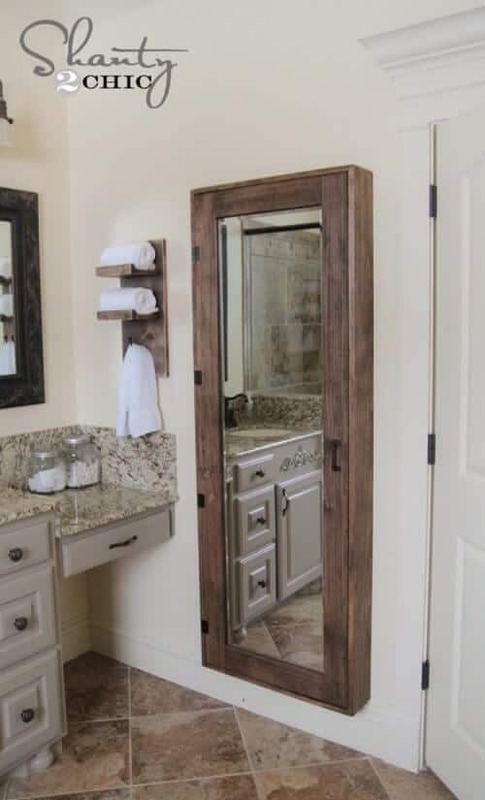 Visit Shanty 2 Chic for tons of great ideas on affordable home remodeling and DIY projects. 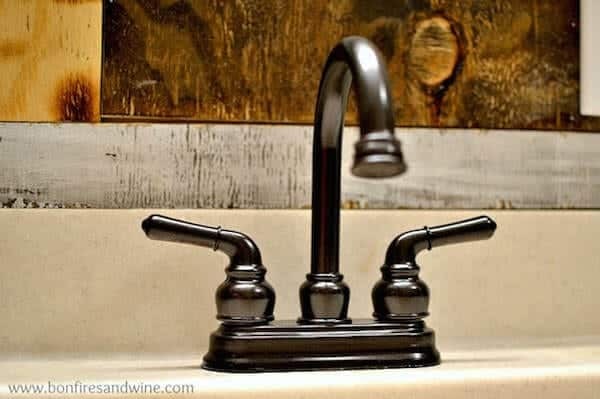 Spray paint definitely won’t last forever, nor will it turn your regular old faucet into a real bronzed masterpiece, but it will help give your bathroom a major facelift. This project takes very little time and effort to complete and the absolutely gorgeous end result will make breathing in all of those stinky spraypaint fumes more than worth it. 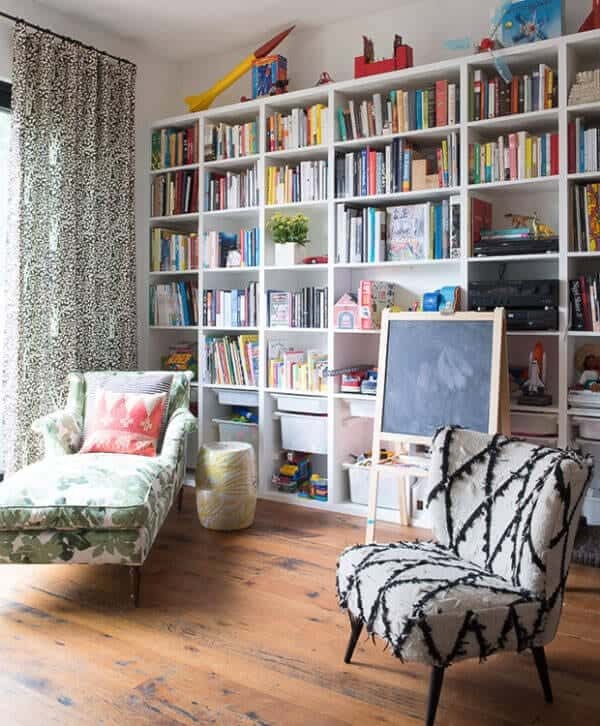 Find some thrifty home reno inspiration and a dose of family cuteness at Bonfires and Wine. 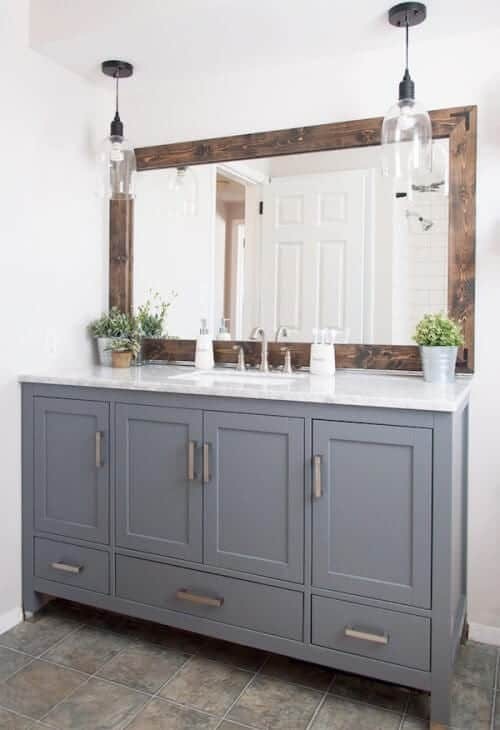 The presence of a gorgeous mirror can change the entire appearance of your bathroom, but if you’re not totally up for paying those antique store prices or spending hours at a home goods store trying to find the right one, you can just transform your old one with this great DIY instead. Creating the real wooden frame for this project is just about as easy as it gets, but putting it back up on the wall may require a little bit of patience. 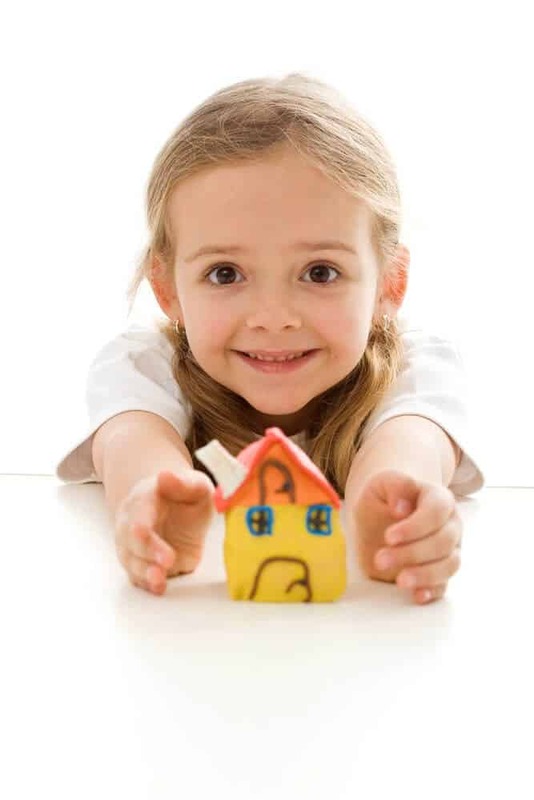 Head on over to Cherished Bliss to find great tips on updating and improving your home by yourself. 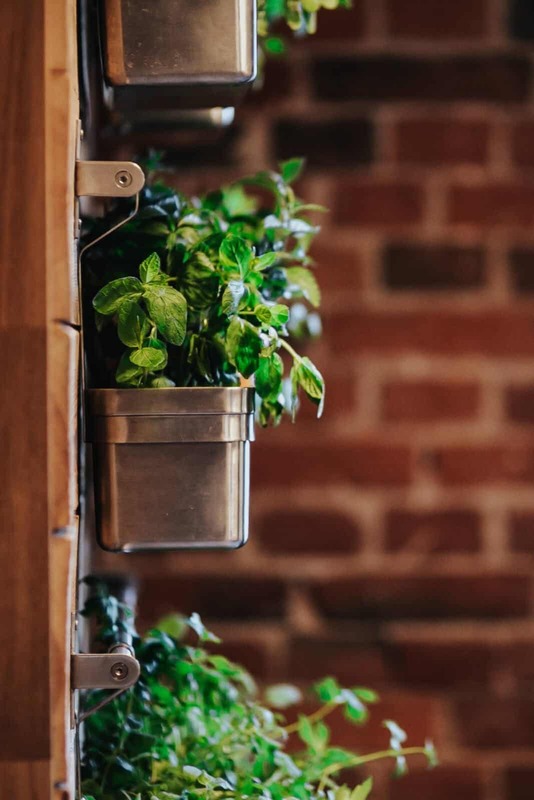 It’s the little things that count, especially when it comes to decorating. 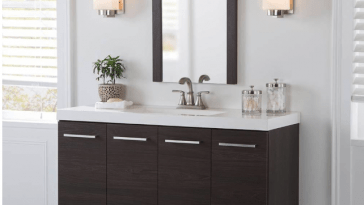 Small, inconsequential items like toilet paper holders and vanity knobs can make a big difference on the overall look of your space, which makes paying attention to the little things so important. 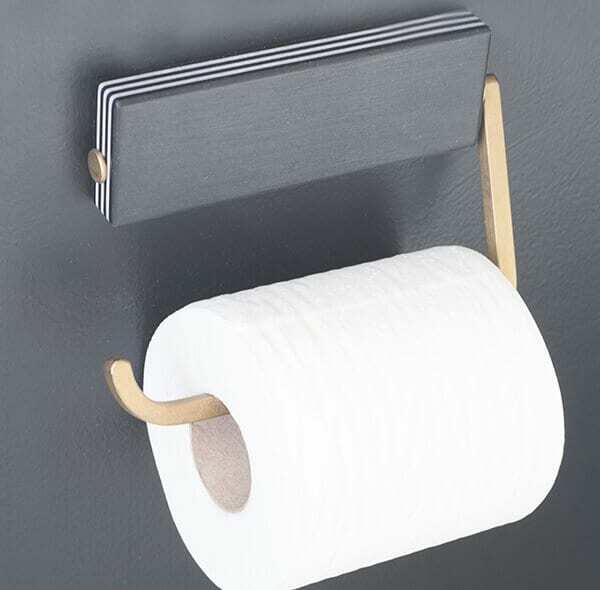 This easy DIY transforms a regular IKEA toilet paper holder into something chic with a little bit of Washi tape and some RubNBuff. Get great design tips and even cooler DIY inspiration over at Cuckoo 4 Design. While it doesn’t necessarily have to be such a bold color, painting over your boring old vanity with something fresh and new will definitely transform your bathroom. 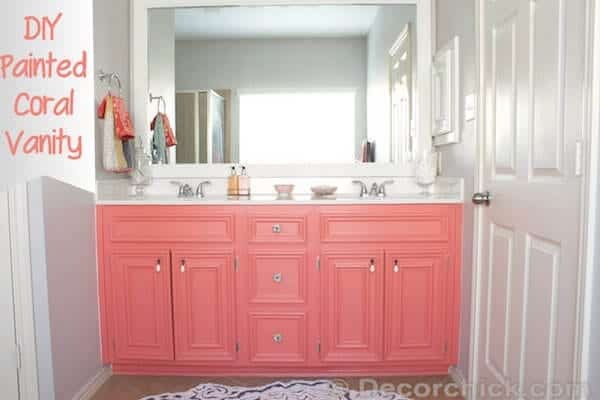 Satin paint gives the above vanity a gorgeous finish and the beautiful coral color adds a much-needed splash of color to the bathroom, bringing every element together perfectly. Get great tips for making your space your own at Decor Chick. 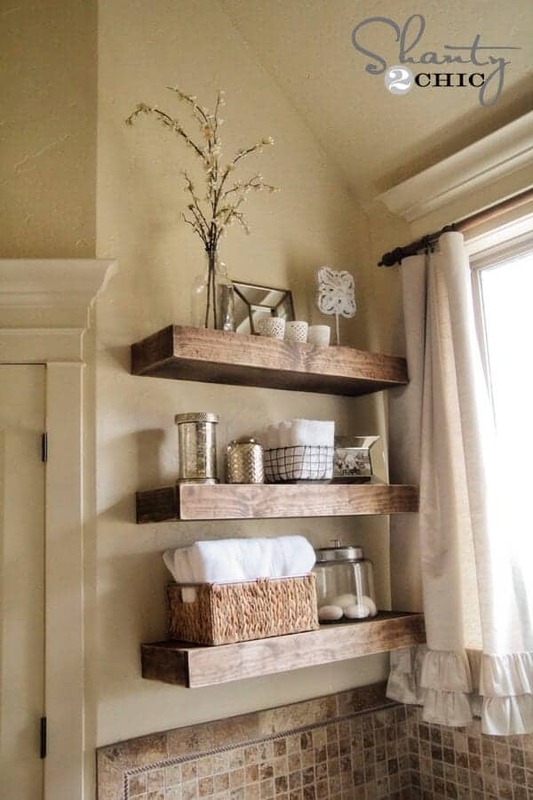 If your bathroom is seriously lacking in cabinet and closet space, why not create your own? This closet is surprisingly cheap to build though it does require a bit of handy work to build and may not be the best option for renters but the in-depth tutorial and a little bit of help can definitely solve one of those problems. Find great bargain-friendly home renovation inspo at Shanty 2 Chic. 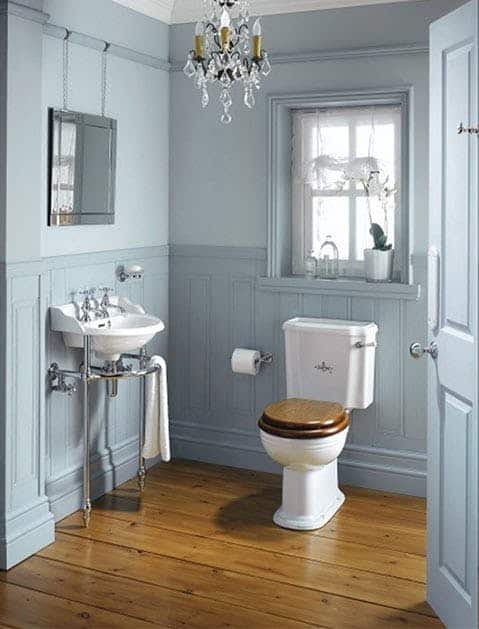 While it may not be your first inclination to add beautiful artwork to your bathroom, it can go a long way in upping your style. Whether you like silly references and bathroom humor, or prefer an artistic approach, including framed artwork is an easy way to upgrade your space. You can find tons of options on Etsy, Home Goods, Amazon or even make your own. Whether you need to get rid of the builder grade vanity lights or you need to swap out the dome light that hasn’t worked in years, you’ll be in awe of how much lighting can transform your space. 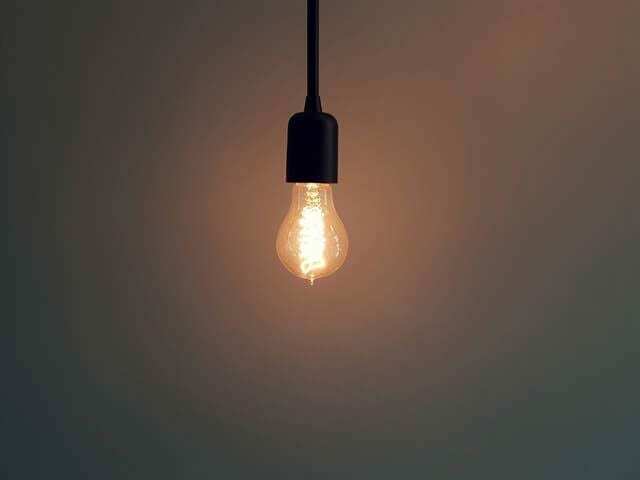 Upgrade fixtures with more modern touches and use brighter LED bulbs to brighten up the space, creating a bigger feel. If you’re really fancy, why not add a chandelier? 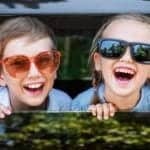 Check out PureWow.com for more fun design ideas.